We get it - you didn’t choose the Dementor life, the Dementor life chose you! Sure, your entire existence is depended on literally sucking the joy out of every human you come into contact with, but that doesn’t mean that you always get job satisfaction from doing it! Sometimes, if you’re being honest, it kind of bums you out that everyone always runs from you in fear and terror. Sure, it’s not hard to see why, but still…sometimes, you just wish they could see who you are on the inside, instead of making all of these snap judgements based on your nightmarish appearance and soul-stealing profession! But since that’s the hand that those wizard cards dealt, you might as well embrace it (geddit?) and try to find as much pleasure in your day-to-day as you can! First step? 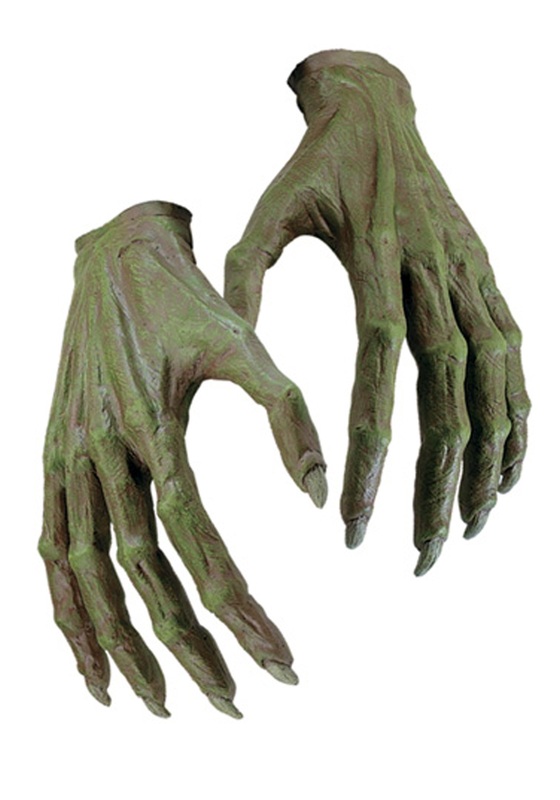 Picking up a pair of these officially licensed and extremely detailed Kid's Dementor Hands! A little upgrade like this will put an extra pep in your floating step and refocus all that dark magic energy into doing what you were meant to do: Sucking the souls out of the magical and Muggles alike!